“Appraiser” also known as valuer, refers to a person who conducts valuation/appraisal; specifically, one who possesses the necessary qualifications, license, ability and experience to execute or direct the valuation/appraisal of real property. “Assessor” refers to an official in the local government unit, who performs appraisal and assessment of real properties, including plants, equipment, and machineries, essentially for taxation purposes. This definition also includes assistant assessors. “Real estate” refers to the land and all those items which are attached to the land. It is the physical, tangible entity, together with all the additions or improvements on, above or below the ground. “Real estate development project” means the development of land for residential, commercial, industrial, agricultural, institutional or recreational purposes, or any combination of such including, but not limited to, tourist resorts, reclamation projects, building or housing projects, whether for individual or condominium ownership, memorial parks and others of similar nature. “Real estate developer” refers to any natural or juridical person engaged in the business of developing real estate development project for his/her or its own account and offering them for sale or lease. “Real property” includes all the rights, interests and benefits related to the ownership of real estate. Real estate consultant – a duly registered and licensed-natural person who, for a professional fee, compensation or other valuable consideration, offers or renders professional advice and judgment on: (i) the acquisition, enhancement, preservation, utilization or disposition of lands or improvements thereon; and (ii) the conception, planning, management and development of real estate projects. Real estate appraiser – a duly registered and licensed natural person who, for a professional fee, compensation or other valuable consideration, performs or renders, or offers to perform services in estimating and arriving at an opinion of or acts as an expert on real estate values, such services of which shall be finally rendered by the preparation of the report in acceptable written form. Real estate assessor — a duly registered and licensed natural person who works in a local government unit and performs appraisal and assessment of real properties, including plants, equipment, and machineries, essentially for taxation purposes. Real estate broker – a duly registered and licensed natural person who, for a professional fee, commission or other valuable consideration, acts as an agent of a party in a real estate transaction to offer, advertise, solicit, list, promote, mediate, negotiate or effect the meeting of the minds on the sale, purchase, exchange, mortgage, lease or joint venture, or other similar transactions on real estate or any interest therein. Real estate salesperson – a duly accredited natural person who performs service for, and in behalf of. a real estate broker who is registered and licensed by the Professional Regulatory Board of Real Estate Service for or in expectation of a share in the commission, professional fee, compensation or other valuable consideration. Accredited Professional Organization (APO) of Real Estate Service Practitioners – the integrated national organization recognized by the Board, as may be approved by the Commission, composed of natural persons duly registered and licensed by the Commission to practice real estate. Discharge such other powers, duties and functions as the Commission may deem necessary to carry out the provisions of this Act. Of good moral character, and must not have been convicted by final judgment by a competent court of a criminal offence involving moral turpitude. For any final judgment or conviction of any criminal offence involving moral turpitude. any other related subjects as may be determined by the Board. A holder of a relevant bachelor’s degree from a state university or college, or other educational institution duly recognized by the CHED: Provided, that as soon as a course leading to a Bachelor’s degree in Real Estate Service is implemented by the CHED, the Board shall make this course a requirement for taking the licensure examination. Is of good moral character, and must not have been convicted of any crime involving moral turpitude. An applicant for the licensure examination for real estate consultants must show proof that he/she has at least ten (10) years experience as a licensed real estate broker or an assessor, or as a bank or institutional appraiser or an employed person performing real property valuation, or at least five (5) years experience as a licensed real estate appraiser; Provided, that such applicant for Real Estate Broker shall have taken eighteen (18) units of real estate subjects and applicant for Real Estate Appraiser shall have taken twenty (24) units of real estate subjects as stated in Section 13 hereof, as may be determined by the Board. Engaging in the practice of the profession during the period of one’s suspension. Assessors and appraisers who, on the date of the effectivity of R.A. No. 9646 or as of 31 July 2009, hold permanent appointments and have at least ten (10) years actual experience in real property appraisal or assessment and have completed at least one hundred twenty (120) hours of accredited training on real property appraisal conducted by national or international appraisal organizations or institutions/entities recognized by the Board and relevant CPE to the satisfaction of the Board. Those falling under categories (2) and (3) shall register with the Board after they shall have complied with the requirements for registration as real estate appraisers, as stated in paragraph (1) heretofore. Provided, that those seeking to be licensed to a new credential level shall be required to take the pertinent licensure examination. Those so exempt under the aforementioned categories shall file their application within two (2) years from the effectivity of Republic Act No. 9646 or until 31 July 2011. Provided that the renewal of the professional identification card is subject to the provisions of Section 17 hereof. SECTION 21. Reinstatement, Re-issuance or Replacement of Certificate of Registration, Professional Identification Card and Special/Temporary Permit. The Board may, after the expiration of two (2) years from the date of revocation of a certificate of registration and/or professional identification card, and upon application and compliance with the required CPE units, and for reasons deemed proper and sufficient, reinstate any revoked certificate of registration and reissue a suspended professional identification card and in so doing, may, in its discretion, exempt the applicant from taking another examination; Provided that, the Board shall issue a resolution subject to the approval of the Commission in granting a petition for reinstatement to the practice of real estate service profession. A new certificate of registration, professional identification card or special/temporary permit may be issued to replace lost, destroyed or mutilated ones, subject to the rules as may be promulgated by the Board and the Commission, upon payment of the required fees. Public Officers in the performance of their official duties and functions, except government assessors and appraisers. No partnership or corporation shall engage in the business of real estate service unless it is duly registered with the Securities and Exchange Commission (SEC), and the persons authorized to act for the partnership or corporation are all duly registered and licensed real estate brokers, appraisers or consultants, as the case may be. The partnership or corporation shall regularly submit a list of its real estate service practitioners to the Commission and to the SEC as part of its annual reportorial requirements. There shall at least be one (1) licensed real estate broker for every twenty (20) accredited salespersons. Divisions or departments of partnerships and corporations engaged in marketing or selling any real estate development project in the regular course of business must be headed by full-time registered and licensed real estate brokers. Branch offices of real estate brokers, appraisers or consultants must be manned by a duly licensed real estate broker, appraiser or consultant as the case may be. Sections 3(e) and (ee) of Act No. 2728, as amended by Act No. 3715 and Act No. 3969, Sections 472 and 473 of the Local Government Code of 1991 (Republic Act No. 7160), and pertinent provisions of the Civil Service Law are hereby modified accordingly. All laws, decrees, executive orders, department or memorandum orders and other administrative issuances or parts thereof which are inconsistent with the provisions of this Act are hereby modified, superseded or repealed accordingly. Remember, the above is a draft that is subject to public consultation. I want to clarify about real estate developer. The head of a corporation on a real estate business must be a license real estate broker or could they just hire a real estate broker for the corporation to operate? [From the Admin] Hi! The head of the corporation does not need to be a licensed real estate broker. This assumes that the head does not directly sell properties. The head may hire real estate brokers who will be the ones who will engage in the actual practice of real estate brokerage. Hi… with due respect to the IRR and those stated in Section 13 of the IRR. what are the specific requirements for those who are working in the LGU- Assessors Office whose actual job was an appraiser? and they were not qualify in the registration without exam or Section 20 of the IRR. because there work experience is less than 10 years… Do we need to complete the 120 Training hours or only a part of it. Does our work experience (less than 10 years) have merits or has an equivalent to training hours? Can you please give the specific requirements or advice on what to do.. thank u and God Bless. (c) Assessors and appraisers who, on the date of the effectivity of R.A. No. 9646 or as of 30 July 2009, hold permanent appointments and have at least ten (10) years actual experience in real property appraisal or assessment and have completed at least one hundred twenty (120) hours of accredited training on real property appraisal conducted by national or international appraisal organizations or institutions/entities duly certified by the Department of Finance (DOF) or other pertinent national government agencies or Government Owned and Controlled Corporations (GOCC) as the case may be, recognized by the Board and relevant CPE to the satisfaction of the Board. Those falling under categories (b) and (c) shall register with the Board after they shall have complied with the requirements for registration as real estate appraisers, and have completed twenty four (24) CPE credit units. 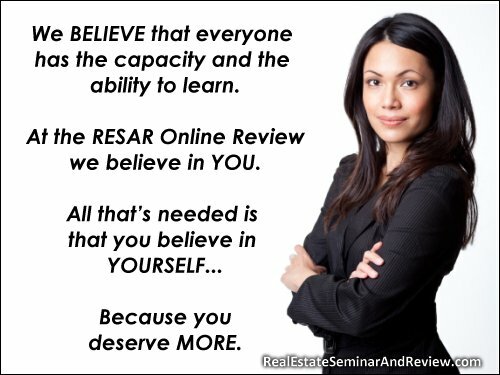 Provided, That those seeking to be licensed to a new credential level shall be required to take the pertinent Board licensure examination for real estate practitioners. Since you don’t have 10 years of experience, please refer to (b). Before I left the Philippines in October 2009, I went to PRC and DTI, for my license renewal but niether of the two entity is accepting my license renewal because the RESA law had not been finalized. I have my 20unit CEP that time. I am now here in the US and wanted to know if I can still renew my license using my previous CEP-January 2009. I am a license engineer too and there was no problem with license renewal. Can you please give the necessary procedure I need to do? [From the Admin] Hi! Since you already had a license before July 30, 2009 but you were not able to renew it, you need to earn 15 CPE units if you wish to become registered by the PRC without having to take another examination. kelangan ba ng calculator sa exam? [From the Admin] Opo, kailangan po. Huwag lang po yung programmable calculators. Salamat! [From the Admin] Hi! Can you show proof that you have earned 120 units of real estate subjects, whether in the form of 60 hours of CRESAR and 60 hours of OJT, or 120 hours of CRESAR? Thanks! The RESA took effect on 31 July 2009. The Law is now nearly on its full implementation. Its IRR is nearing completion and is subject to public consultation. Allow me to share my thoughts on the matter. Under section of the IRR, a person may register without examination, real estate licesees falling who fail to renew their licenses and/or to comply with the necessary CPE requirements within two (2) years after the effectivity of the RESA, that is, on 2011. And in addition, those who passed the May 2008 and July 2009 examination and failed to earn the required CPE units. It is observed, that there is a slight difference as to period of reckoning of exemption. Practitioners have 2 years from effectivity of RESA, while passers have only 1 year or less retroactive inclusion. I submit that passers deserve equal treatment under the RESA and opportunity to become Professional Licensed Real Estate Broker (REB) under the said law. Taking and passing the REB exam are common denominators between these two groups (licensees, passers), at least as far as examination is concerned. In insofar as the examination is concerned, passers have some sort of vested right over it. As such, it may not be taken away from them by mere passage of a law subsequently. For such consideration, the retroactive application of RESA may be stretched back as far as two years, insofar as the passers are concerned. Hence, I believe it is fair and reasonable enough to include the 2007 passers of the REB exam. I hope that this humble suggestion may be conveyed and expressed to the PROFESSIONAL REGULATORY BOARD OF REAL ESTATE SERVICE. SEC 30 STATES ” Within three (3) years from the effectivity of RA No. 9646, all existing and new positions in the national and local governments, whether career, permanent, temporary or contractual, primarily requiring the services of any real estate service practitioner, shall be filled only by registered and licensed real estate service practitioners” . does this mean after three years from the date of effectivity? [From the Admin] Yes, three years from the date of effectivity (July 31, 2009). Please remember, however, that you’re referring to a draft IRR of the RESA Law. They still have to present the final version of the IRR.